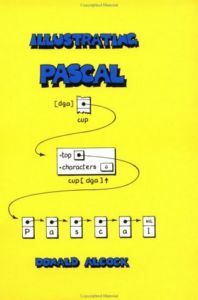 This book provides an introduction to programming in Pascal for the complete beginner. It starts with the fundamental concept of a stored program and works through to the manipulation of records in dynamic storage. The style of presentation is pictorial, with well-chosen illustrations replacing lengthy descriptions. Besides defining the statements and structures of Pascal, this book illustrates the use of such features in small, but complete, programs. The programs themselves introduce fundamental techniques of programming and tools of the programmer's trade. This book may be used as a self-contained reference manual for ISO 7185 Pascal.